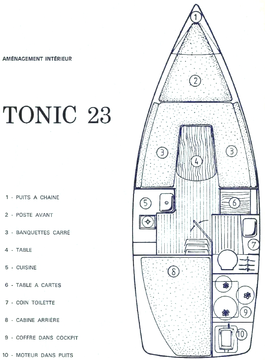 Ever ready for a quick get-away on her trailer: the Tonic 23 is adapted to the different styles of sailing which we so enjoy. 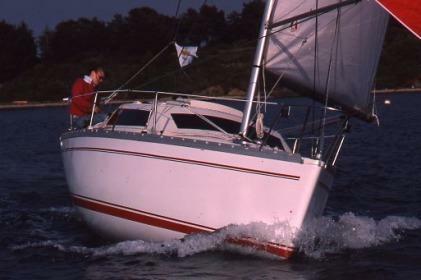 In lifting or fixed keel versions, beaching is real chilDès play. 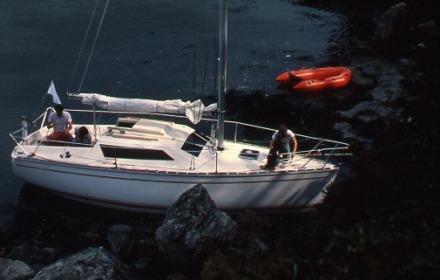 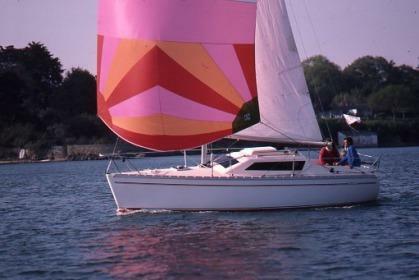 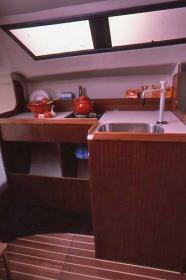 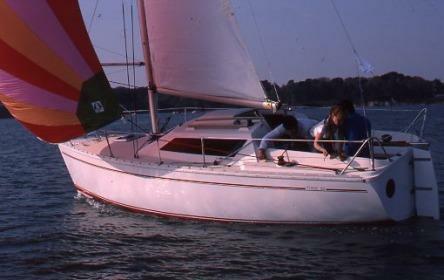 Fast through the water, she is a truly easy and comfortable sailboat. 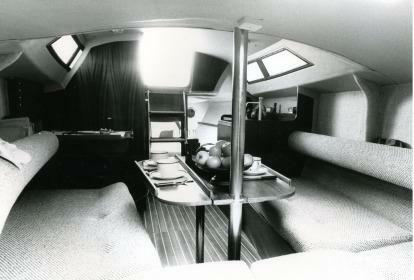 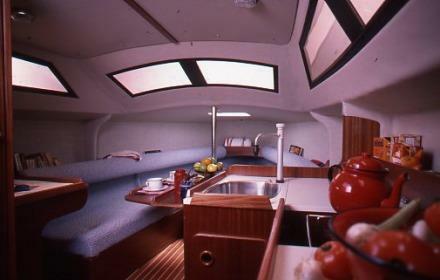 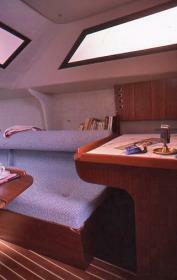 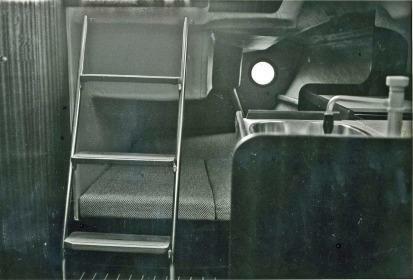 This 23 à foot design from Philippe Harlés drawing board brings together for the first time: a six-water U-shaped saloon with 1,70 m headroom (5'7'); a genuine chart table, a galley fully fitted out with numerous storage lockers, an independent washroom, a roomy hanging locker, a double cabin aft and a large sails locker.